Get to know our leadership team! Mark became a follower of Christ in 1977 through the ministry of Cru at Penn State University. He joined Cru in 1980, beginning with a one-year internship in Guam and Micronesia. 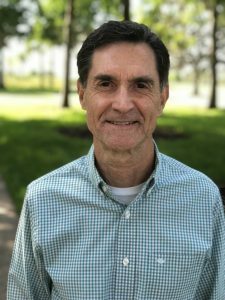 His assignments with Cru have focused on the operational side of the ministry at Cru’s international headquarters, Campus Ministry in Canada, and The Jesus Film Project where he served for 22 years including 13 years on the executive management team. The JESUS Film Studio produced more than 1,100 productions of JESUS and its associated films in more than 850 languages under Mark’s tenure as director. Mark joined StoryRunners in 2009, serving as Director since 2014. He has a MBA from the Crummer Graduate School of Business at Rollins College. Mark is married to Jenny, and they have four adult sons. Pam accepted Jesus as her Savior at 7 years old. Raised by Christian parents modeling Christ-likeness in the home, she felt called by God as a preteen. Serving with International Mission Board missionaries in Louisiana exposed her to missionary service in Africa, sparking her passion for the lost around the world. After working 20 years in the travel industry, she served 6 years at Faith Comes By Hearing, introducing churches and individuals to the way people in oral cultures most easily engage with God’s Word. She moved further down the unbeaten trail of Unreached People Groups (UPGs) when she began serving at StoryRunners in 2014. Two years later, Pam became the Director of Development, a role that allows her to build relationships with people who are passionate about engaging UPGs and about the completion of The Great Commission. Pam is married to Chester, and they have three adult children. Since graduating from Kansas State University in 1987, Todd has served with Cru in a variety of roles. During the nine years he and his wife Debby worked at Cru’s International Graduate School of Leadership in Manila, Philippines, Todd also earned his Masters of Divinity. His experience of working with Asian Christian workers from many countries showed him the great need for ministry tools to reach the masses of people who live in oral cultures. As a result, in 2005, he and Debby transitioned to StoryRunners. Since joining Cru in 1977, David has developed a diverse ministry background. 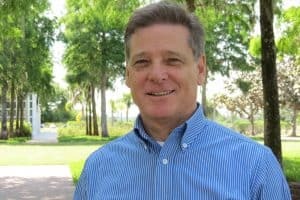 He served as a regional operations director for the Campus Ministry, he helped send teachers to Russia in the early 1990s as part of the CoMission partnership effort, and he directed language production operations for the translation of JESUS in Europe for JESUS Film Project. 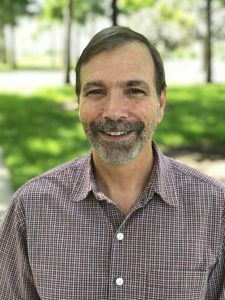 In 2003, David helped found StoryRunners when Cru launched its strategy for reaching people using oral Bible storying, and, currently, he leads StoryRunners’ daily operations. Within a few years of becoming a follower of Christ at age 10, he sensed God’s leading towards ministry. Although he didn’t know what “Unreached People Groups” (UPGs) were, he knew that he wanted to reach people with little to no access to the gospel. While he was a student at Virginia Tech, God impacted him significantly through Cru, and he joined Cru staff in 1996. He has worked in the campus ministry in eastern Pennsylvania, at Indiana University of Pennsylvania, and in Singapore. He also served in the President’s Office and on the Global Prayer Team. In 2011, driven by the desire that as many UPGs as possible receive the gospel through Bible storying, he joined StoryRunners. He oversees, equips, and shepherds StoryRunners’ School of Storying training team. He earned an M.A. in Biblical Studies. M.’s relationship with Christ is rooted in the influence of Cru staff on her parents, who then fostered a spiritual environment that pointed her to Christ. 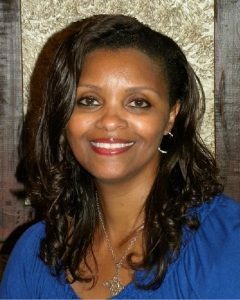 After serving as a student leader in the Cru movement at Rice University, she worked in the information technology field while also volunteering with Cru’s high school ministry, eventually joining staff in 1988. Following God’s call to work with Unreached People Groups (UPGs), in 2010 she joined StoryRunners because she believes that the most effective way to reach the vast majority of people from UPGs is with stories … the stories of Jesus. In Fall 2016, she began leading the area of Mobilization, which she describes as “influencing people to live missionally and intentionally in order to see God’s kingdom expanded.” M. has two nieces and four nephews who delight her heart!